The kit consists of 3 complete brake rotors that come pre-assembled and ready to be installed, enough for your entire Slingshot. 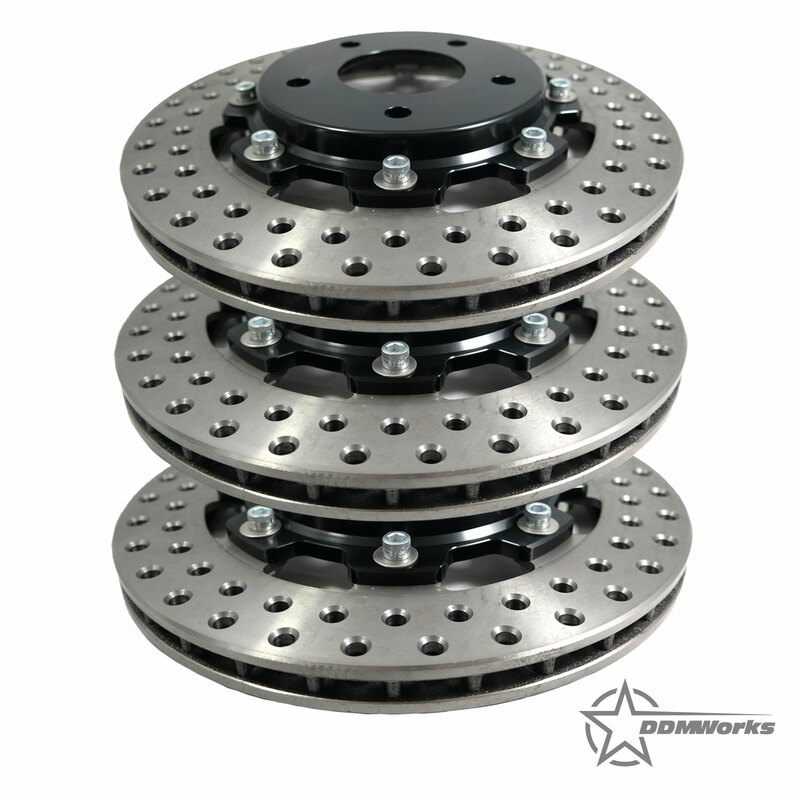 All rotor sets can be ordered in 3 different patterns - Cross Drilled, Slotted or standard vented. 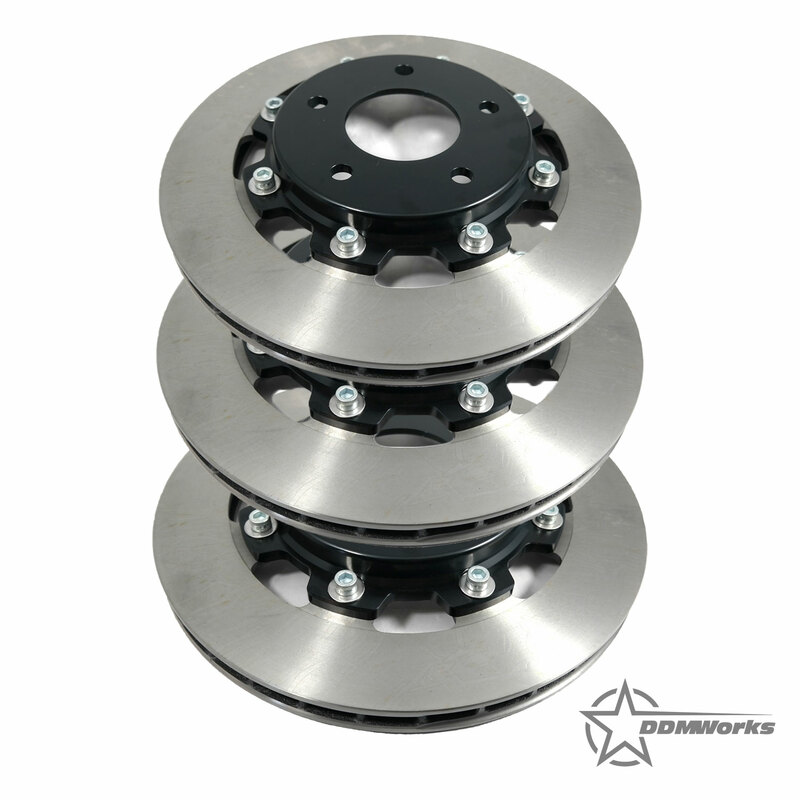 Make sure rotor surfaces are free from oils, grease, and brake fluid. Run vehicle up to a moderate speed (around 30-35mph) and make several medium deceleration stops to heat up the rotor slowly. While doing this, make sure not to come to a complete stop, keep the vehicle moving. Then proceed to make 2-3 stops from 55-60mph with a medium declaration. The goal is to bring the rotors up to temperature smoothly without spiking the temperature in them. 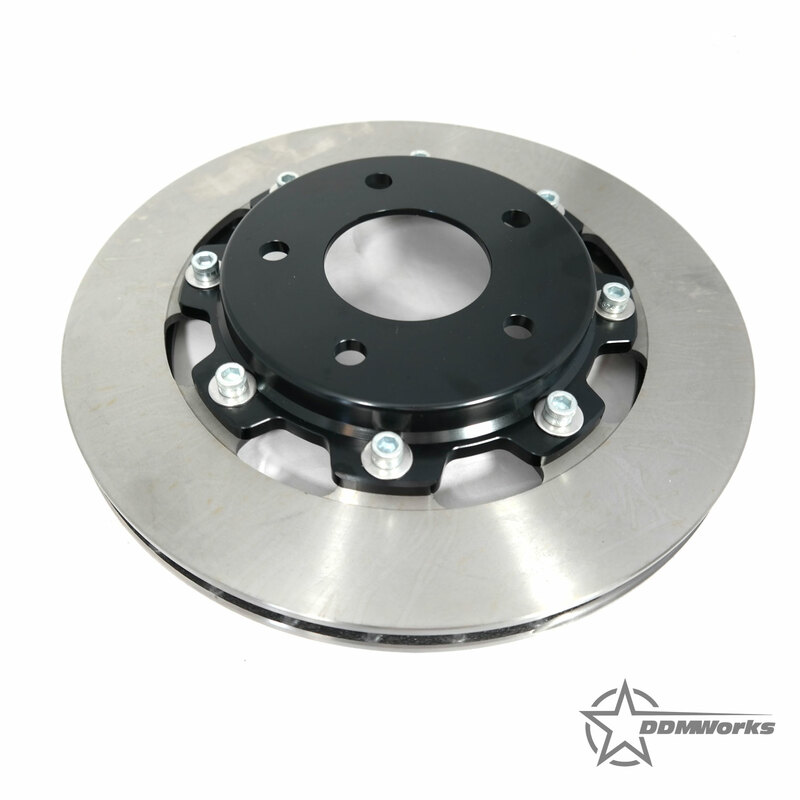 This will help reduce the chance of thermal shock caused by uneven heating of the rotor. 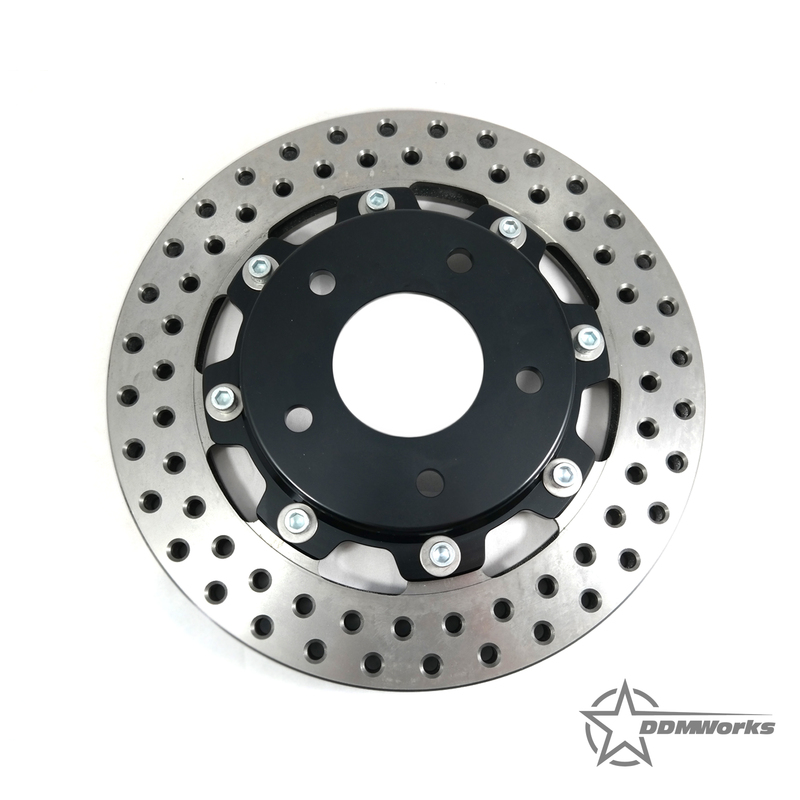 Once you get the rotors hot, you want to park the vehicle and allow the rotor to cool to ambient air temperature, usually 45-60 minutes. 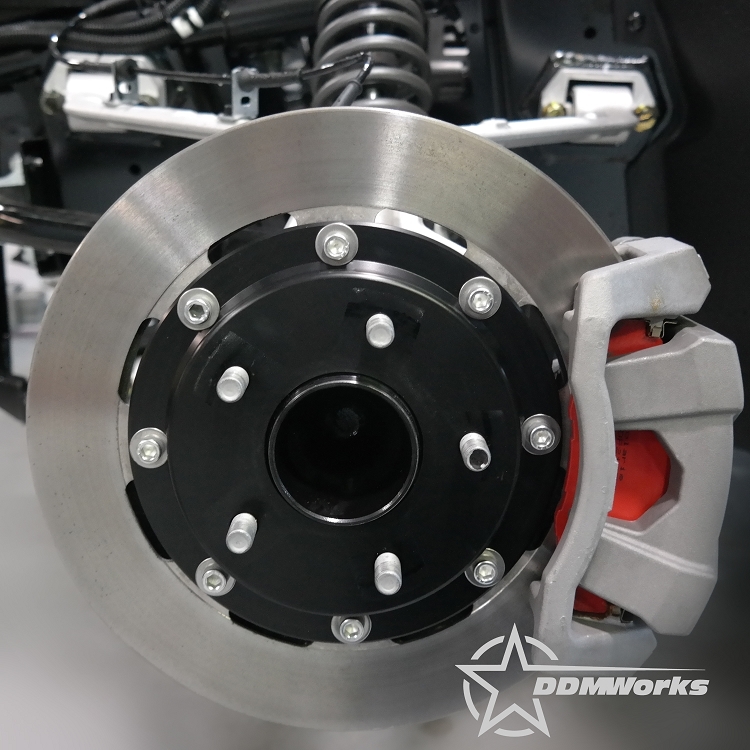 After bedding the rotors, you can then swap out your brake pads to upgraded pads and repeat the process for the pads.